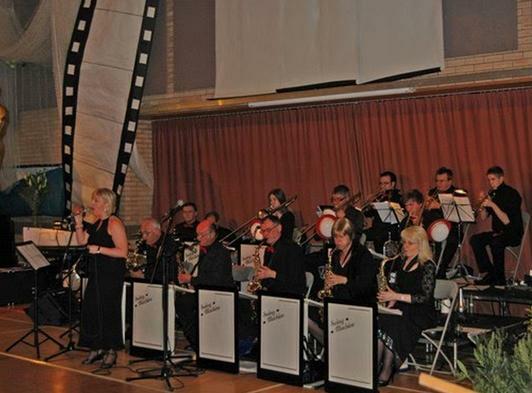 We are a full 17 piece big band and can be booked to play at a variety of events including, but not limited to, weddings, dinner dances, birthday celebrations, 40s themed events, social evenings and concerts. We are based in Ipswich, but perform all over Suffolk and travel to the neighbouring counties of Norfolk, Essex and Cambridgeshire. We are always happy to discuss your specific requirements, so it’s always worth getting in touch. 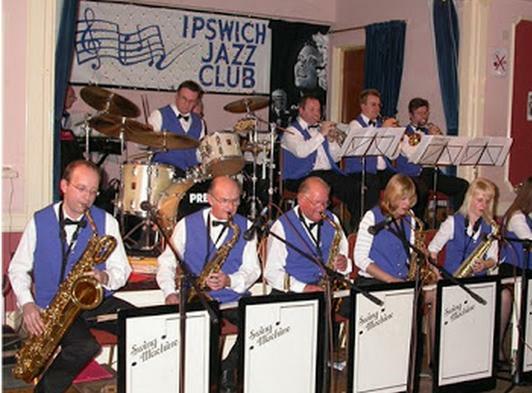 Swing Machine is an Ipswich-based big band recreating the much-loved sounds of the 30s, 40s and 50s. Our members, all enthusiasts of the genre, came together to play the music we love, and since those early days the band has gone from strength to strength, attracting quite a following along the way. While our extensive repertoire is rooted in the Swing Era, we do include modern arrangements in our programmes. We can also incorporate a wide variety of dances and our popular Ballroom and Latin events include Waltz, Foxtrot, Quickstep, Jive, Cha-cha-cha, Rumba, Tango, Samba, Salsa, etc. We rehearse weekly in Ipswich, so if you would like to hear us first, you are welcome to come along to a rehearsal.